The Code Reader 3500 (CR3500) decodes barcodes faster and offers features not found in other readers, including new automatic glare reducing illumination technology. The result is unequaled performance, even on difficult reading surfaces, including circuit boards, IV bags, patient-wristbands, driver licenses and other shiny or curved surfaces. 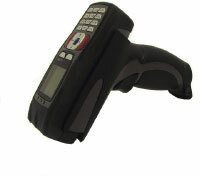 The Reader 3500 (CR3500) also offers the next generation in dual-field optics and is the only barcode reader that can read both wide linear and the smallest of 2D barcodes. The optimal focus and field of view indicator of the Reader 3500 (CR3500) make barcode reading even easier than before. The Code CR3512G-BH5-C0-JS-A52 is also known as CR3512G-BH5-C0-JS-A52	or CR3512GBH5C0JSA52	.